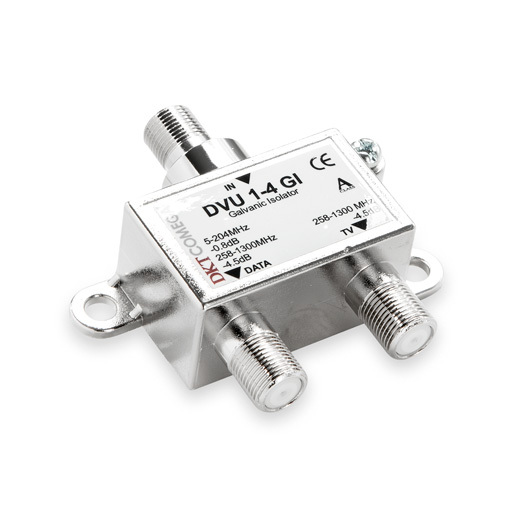 DKT has power splitters that can distribute RF signals and the AC or DC power, whenever such must be distributed in a coaxial network. 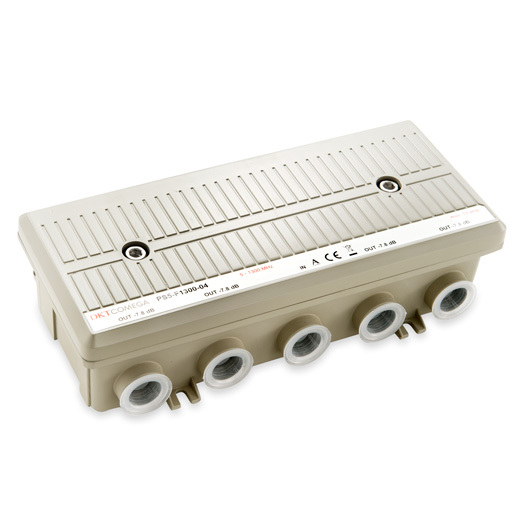 The PS series are power splitters and taps with PG11-female connectors. The Confree Series also has PG11-female connectors, and the cable can be installed directly without the use of a connector, hence the name Confree implying Connector Free. 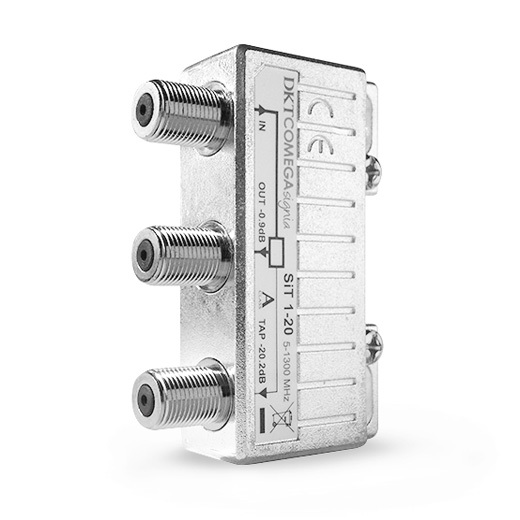 The DKTCOMEGA PS Series is focused on providing the most compact and flexible 2-way splitter/directional coupler on the market. This suits applications in Europe where street cabinets and underground cables are used. Its compact size allows for installation in even small street cabinets. The electrical performance is according to CENELEC’s highest standards, just as with other DKTCOMEGA products. The spring load terminals allow consistent high quality installation, now even faster than before without having to open the unit. Simplified installation makes installer training easier. The 3-port housing is available in two versions – flexible and fixed – to provide the most flexible choice for the specific network setup and to save inventory costs. Additionally, the PS3B-F1300 platform can be used as a power inserter through insertion of bridge plug-in modules. The 5-port housing is for fixed versions only. Additionally, all the PS5B platforms can be used as a power inserter together with the PG11M-AC. The ACP3 P1 F1300 (item no. 41651) is a two-way splitter or one-way tap with external AC feed. The functionality is programmed by the insertion of one Plug-In Module (PIM). It is DOCSIS 3.1 Ready. The ACP4 P2 (item no. 41604) is a three-way splitter or two way tap. Using two Plug-In Modules provides many combination possibilities.